As a duty officer or armed services member you have a special responsibility. We appreciate your service and we have your back with the right Hogue products. Select a "Less Lethal" buttstock for your Remington, Mossberg or Winchester. 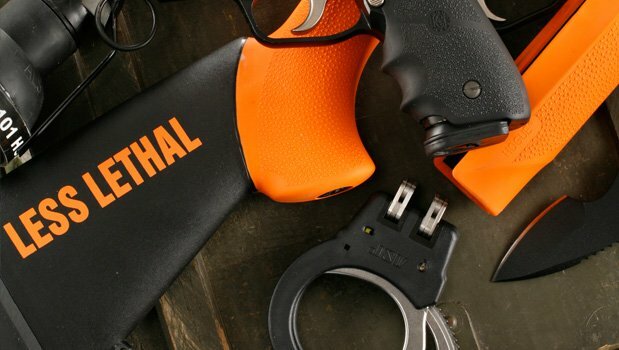 Equip your taser with a Hogue hybrid HandALL. Go ahead and click a picture for more details about great Hogue products for you and your brothers in arms!